…and other times we spend seven frustrating hours at the Raleigh-Durham airport waiting for a hopelessly delayed flight and then, unshowered and grumpy, have to warm up in a NYC taxi cab. 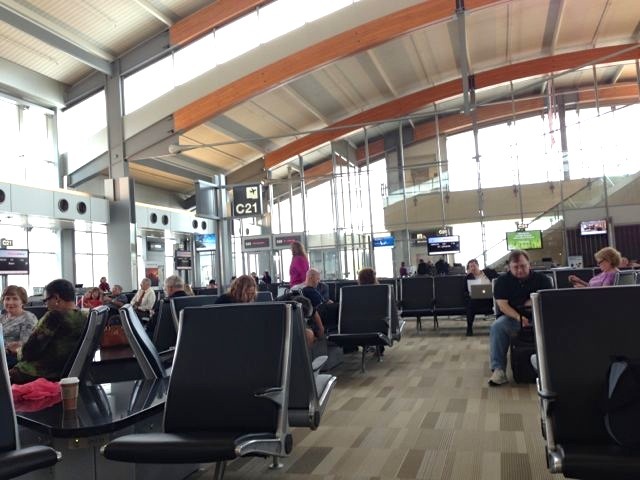 Luckily RDU is a very nice airport (see photo below) with free wifi. Also luckily I had built several extra disaster hours into my itinerary in case of just such a setback as this. Still, it was aggravating to spend all those hours at my gate, awaiting the periodic announcements of further delays, knowing that I could have slept late and taken a nice shower and still have made it to the airport in plenty of time to wait hours for my flight. I was also worried the stress and extra time in canned air would affect my voice for the OSNY competition the next day, so I tried extra hard to stay chill. It worked, partly thanks to a couple pleasantly distracting Freaks and Geeks episodes I watched on my phone. I landed at LaGuardia at pretty much the last possible second that would have allowed me to just barely make my already-postponed rehearsal. 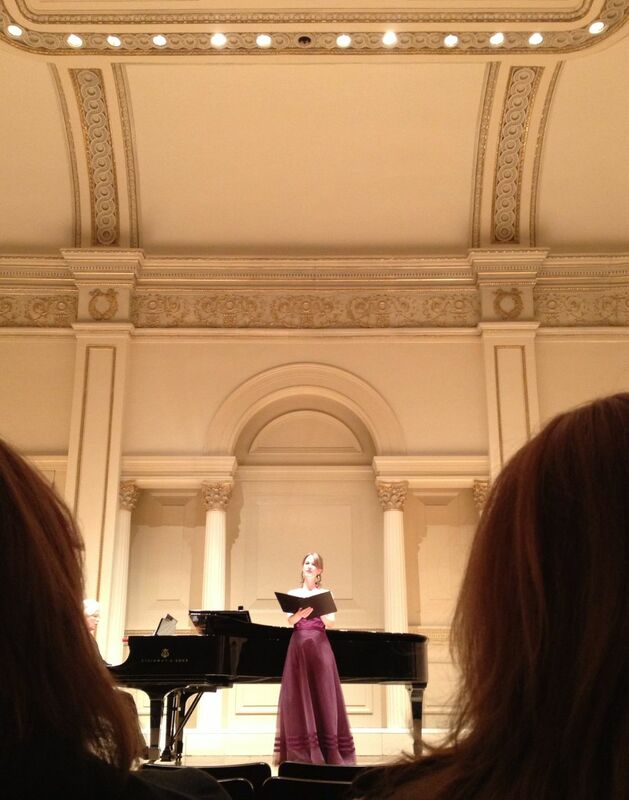 But without a minute to spare, which meant that I wouldn’t have time to warm up before singing the high Cs in my arias, unless I sang in the cab from the airport to Manhattan. I spent the first ten minutes of the cab ride stewing about whether I should make a spectacle of myself that way. 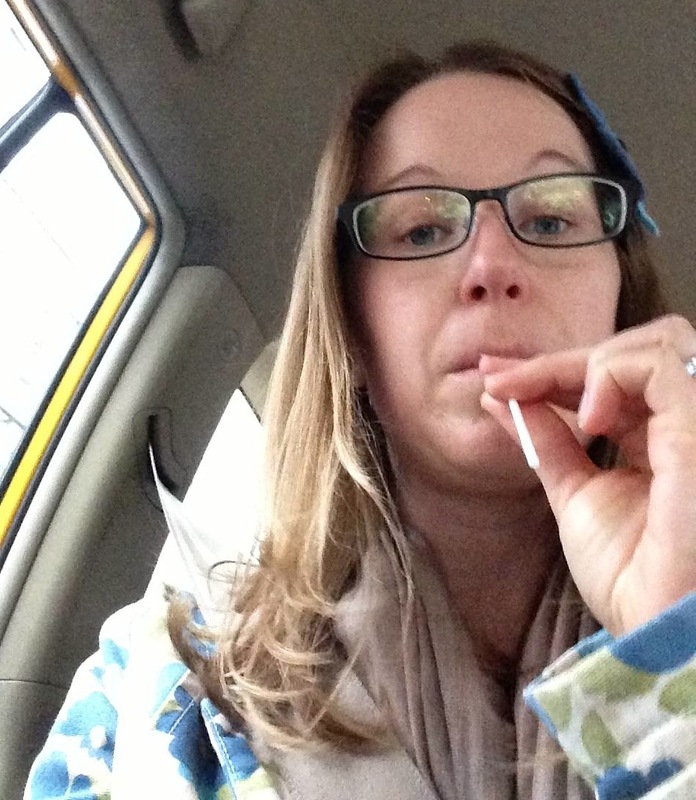 And then I said to myself, “what the heck?” I warned the driver that I’d be singing a little so that he didn’t think there was a crazy lady in his backseat. He immediately turned off the radio, which I assured him was not necessary. And then I began to sing long, quiet tones through a stirring straw. Rather than being annoyed, the driver was fascinated. “What do you call that thing?” he asked. He was incredulous that a lowly stirring straw was allowing me to make sounds he’d never heard before. He asked me several questions, and then left me to my warmup. The straw is an amazing tool, taught to me by my wonderful voice therapist and illustrated by the great Ingo Titze in this YouTube video. This was the first time I used it to warm up right off an airplane, and it sure did a great job combating Airplane Voice. I had a good rehearsal, sang well in the competition the next day, and won an award. Thanks, Ingo Titze/taxi driver/Freaks and Geeks!